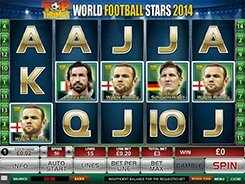 Football fans will like this bright and easy to play slot machine with 20 paylines and 5 reels. 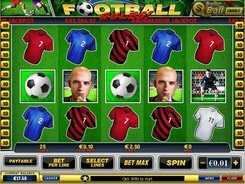 Football Rules will be appreciated by progressive jackpot seekers since the slot game is a part of the Dollar Ball series powered by Playtech. To try your luck, you need to activate the Dollar Ball mode that resembles a lotto game. 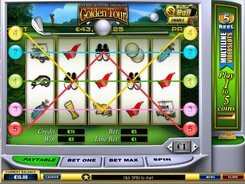 Here you get a chance to hit the jackpot accumulated by thousands of gamers worldwide. Select five numbers out of 49. If the numbers of your choice match those appeared on the screen after the spin, you receive the grand prize. 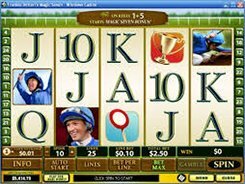 If only four numbers match, the slot will pay you 1 percent of the jackpot, which is not so bad as you may think. 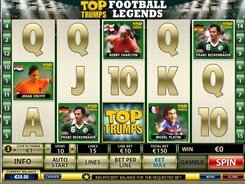 A football fan serves as the wild symbol, with five of them on any payline paying the fixed jackpot of $10,000. 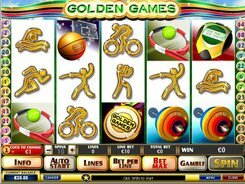 As is in other slot machines, the wild substitutes for other icons to create a winning combination. A stadium is the scatter symbol. If you get at least three of them on the reels, your bet will be increased by a multiplier which value depends on the number of scatters that have appeared. Appearance of the Man & Trophy symbol on the first and fifth reels triggers a bonus round where you must select a ball and get a corresponding bonus reward. PLAY FOR REAL MONEY!